It’s the most talked about show in TV history. 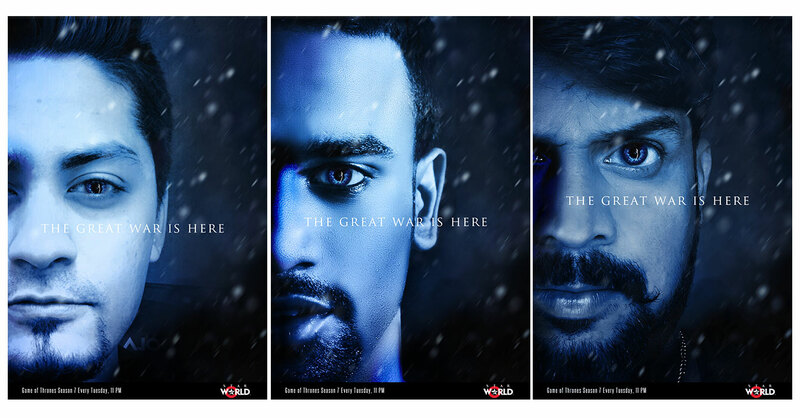 How do we create an association of Game of Thrones with its Indian broadcaster Star World India? We put our fans in the world of Westeros! When the most talked about show in TV history came to India, we decided to plant the audience – in a personalised manner – into the world of the show. This resonated to produce a buzz worthy of the phenomenon that GOT is. Game of Thrones, originally an HBO property, was airing on Star World India for the first time. How do we inform our audience of the show’s new home? We observed that every Game of Thrones season was always announced with a poster which was celebrated, but it didn’t really result in any engagement between Star World & the TG on the platform. 2) Millennials love taking selfies! Our campaign stemmed from a Forbes Article - Millennials desire meaningful & tailored experiences. Thus, as we combined the observations & insight, we crafted a campaign that offers the most personalized experience a Game of Thrones fan can enjoy! We asked fans to simply send a selfie to @StarWorldIndia with the hashtag #GOT7onSW to get personalized memorabilia that they’ll never forget. Fans sent us selfies that were edited in real time by a team of 50 designers. Within minutes, we tweeted out the edited selfies in the GOT 7 Poster and tagged the owner of the selfie. 10,000 fans including Celebs, PR Professionals & Influencers across the country!